Keep a grip on your drink with this well-designed running bottle. Shaped to be carried as you run, our Grip Running Bottle is lightweight and ergonomically designed, with a wide neck for easy filling and cleaning. You can choose the valve cap or push-pull cap in a range of colours to match your logo. 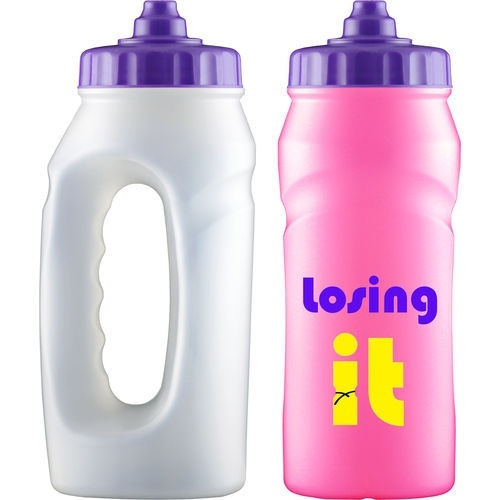 Eco-friendly and BPA free, this is the perfect giveaway water bottle for any sporting person.